1. The solvent inkjet printer /double heads inkjet printer can edit other non-working information when small inkjet printer works, and can change printing content instantly. 2. 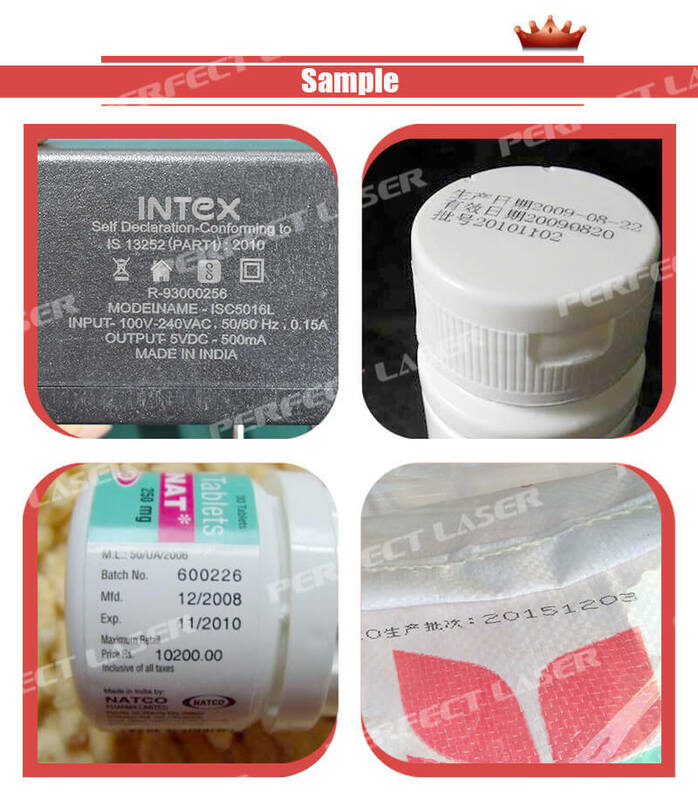 The small inkjet printer/printer inkjet can achieve online anti-fake printing and variable bar code printing. It can also directly uses SD card or USB disk to print garbled and random code. 3. Inkjet marking machine can receive BMP patterns made by computers and can also edit special characters or patterns directly on the touch screen (supporting personal signature). 4. Inkjet marking systems' print character height, print speed and voltage can be adjusted in the menu. 5. The small inkjet printer can recording maintenance data and help operators with daily maintenance. 6. The patented technology of small inkjet printer can make signals for recycling errors, which prevents ink leaking because of inking deviation when the machine is unattended. 1. The solvent inkjet printer adopts the international advanced built-in diaphragm pump technology. The ink pump, solvent pump, recycling pump and circulation pump are integrated. It defeats the traditional gear pump and don’t need compressed air. Compared with the gear pump, it has a great advantage. 2. The service life is several times longer than the gear pump. The small inkjet printer uses research results of bionics, which makes sure of zero wear and low maintenance cost. Besides, the ink will not be affected by mechanical friction of the gear pump. It can greatly extend the service life of ink and reduce production costs. 3. The small inkjet printer adopts the advanced technology to control ink density and viscosity automatically. The system isn’t affected by environment, temperature and boot time, which ensures that the machine works stably and reliably. 4. 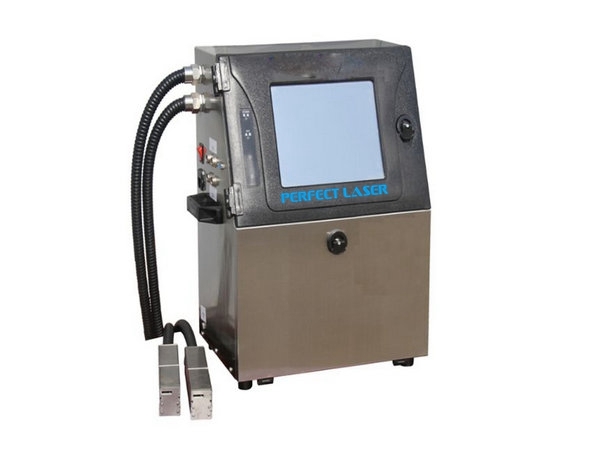 The small inkjet printer uses an unique technology of nozzle triplex anti-clogging and independent automatic cleaning procedures, which can completely solve the problem of clogging. 5. The small inkjet printer has many procedures of processing ink system and the function of error alarm, which makes it run more stably and maintenance more convenient. 6. Ink (red, yellow, white, green, blue, etc.) has been certified by SGS, an international authority. It’s safety, environmental-friendly and adheres well. So it’s suitable to mark on different kinds of products and external packing. 7. 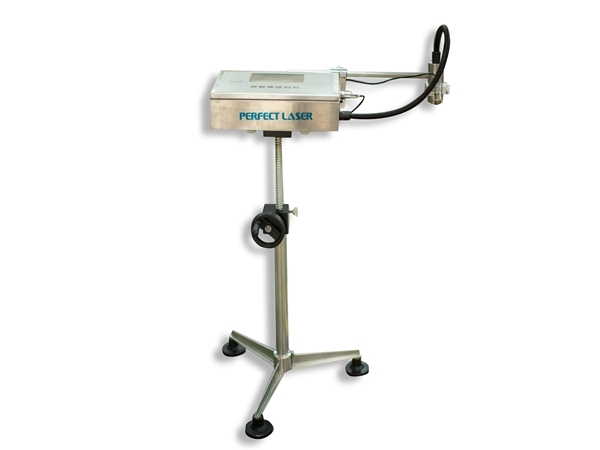 The small inkjet printer uses the anti-wear stainless steel case that is up to IP55 protection level. The nozzle has an unique function that it can resist dust and water. It’s suitable for all kinds of terrible environment. 8. "Digital intelligent" menu system displays various important parameters and operation data of circuit ink system automatically and digitally and it can realize digital regulation, which can make the running state clear. Automatic error detection system can send massages through the digital menu and automatic signal lights, which can effectively eliminate errors. 9. The small inkjet printer can edit other non-working information when it works, and can change printing content instantly. What’s more, it can achieve online anti-fake printing and variable bar code printing. It can receive BMP patterns made by computers and can also edit special characters or patterns directly on the touch screen (supporting the signature). 10. The small inkjet printer has lots of special functions,such as encoding synchronization, photoelectric synchronization, synchronization calibrating synchronously and checking many times printing effect in one on-line detection. Support normal character, reverse character, inverted character and reverse and inverted character, can set printing direction only for a single character.